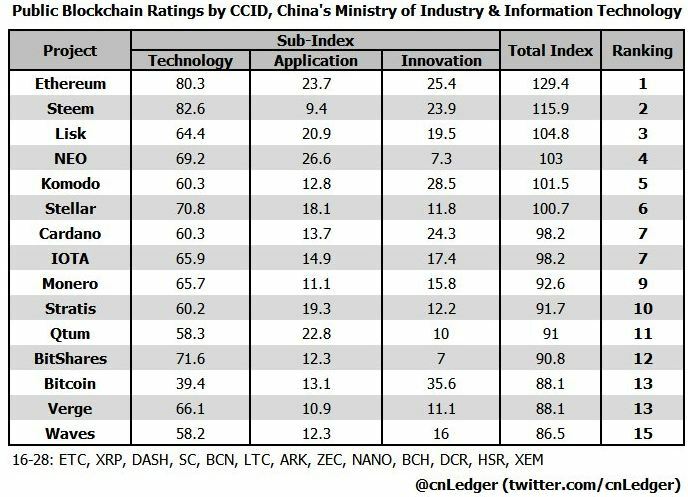 China’s Ministry of Industry and Information Technology has recently revealed its public blockchain ratings, ranking various blockchain projects like Ethereum, Bitcoin and others. The rankings are based on three criteria: technology, application, and innovation. Interestingly, the Chinese government has ranked Ethereum as the world’s number 1 blockchain network, as reported by CCN. Alongside Ethereum other top contestants are Steem, Lisk, NEO, and Komodo. Notably all all of the top 5 blockchain networks utilize smart contracts to efficiently and securely process information in a decentralized way. Meanwhile, the crypto community seems greatly shocked by the ranking of Bitcoin at number 13, which has been co-ranked with privacy-focused cryptocurrency Verge, as shown in the chart below. The Bitcoin community is understandably outraged by the ranking of Bitcoin at 13, viewing the fact that Bitcoin has the longest track record as the most secure and dominant cryptocurrency in the global market. Furthermore, analysts have stated that the Chinese government has thoroughly reviewed the long track record, hash rate, computing power, and accumulated difficulty of major blockchain networks like Bitcoin and prioritized next-generation blockchain networks instead. Surprisingly, another addition to the China’s index top 10 rankings was Monero, which is ranked at number 9. 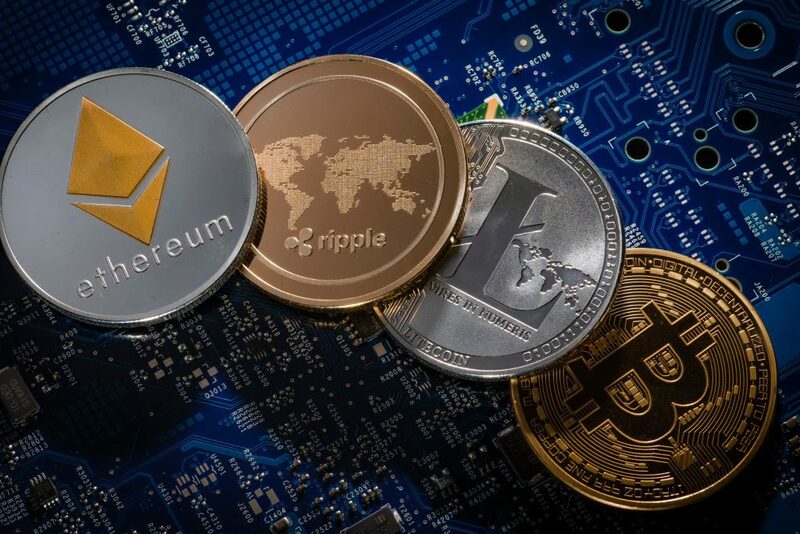 Several governments including the Japanese government and its financial services agency (FSA) have raised serious concerns towards cryptocurrencies like Monero and Zcash which are capable of processing anonymous payments that could be linked with crypto jacking, money laundering, and criminal activities.